Exhibits - LGBTQ HISTORY MUSEUM OF CENTRAL FLORIDA, INC. Explore our COMING OUT OF THE SHADOWS exhibit for an interactive journey through the clandestine landscape of the LGBTQ+ club scene of the mid-twentieth century. Interactive map designed and researched by UCF grad Erin Shreve. Our exhibit on the Parliament House follows the history of the Parliament House. First opened in 1962 as the Orlando Parliament House Motor Inn, intended to be the first in a nationwide chain, it served as a popular spot for weddings, conferences, and other events. 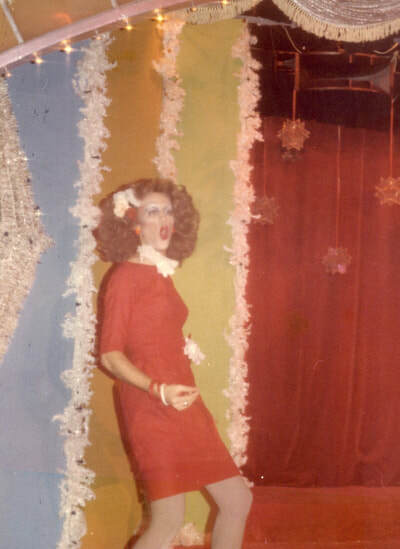 After the original owners declared bankruptcy in 1975, the Orlando Parliament House was purchased by Bill Miller and Michael Hodge who turned it into "The World's Largest Gay Entertainment Center". The Parliament House celebrated it's 40th anniversary in 2015 and continues to serve as a popular LGBTQ+ entertainment spot. Check out our exhibit to learn all the details! Thanks to primary contributor, David Bain.